Don Elser was one of the greatest high school athletes in Indiana history. He set records in track and was All-State in football and basketball. He received 12 letters from participating in football, basketball, and track. At Notre Dame University, Elser lettered in football (3), basketball (3), and track (1). He was an Honorable Mention All-American in football and played in 1936 Chicago Tribune All-Star Football Game. 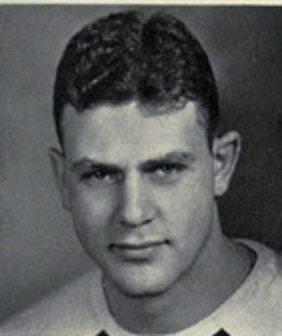 Elser played professional football one year with The Boston Shamrocks in 1937 and briefly played professional basketball for Toledo in the National Basketball League. He served as a Big Ten basketball and football official for twenty years. In 1958, he received the Official of the Year Award by the Knute Rockne Club of Kansas City, Kansas. Donald Lewis Elser Born: Aug 4, 1913 Died: Dec 19, 1968 Hometown: Gary, In.